Forms and Pricing - How low can you go? As low as $1.05! We're also offering new ways to get even more discounts when you file, print and mail through Eagle View. Check out our Buy Downs for extra savings this year. Please note: We do not currently support corrections of recipient information, including the recipient's name, address or TIN/SSN. For instructions on how to correct recipient data, go to http://www.irs.gov/pub/irs-pdf/i1099gi.pdf and refer to Section H, "Corrected Returns on Paper Forms." Use this form to correct Employer EIN, Employment Code, Tax Year, Establishment Number, 3rd Part Sick Pay Indicator and Kind of Employer, Employee Name, Employee SSN and payment and withholding amounts on a W-2 form you previsously filed with the SSA. Report proceeds From Broker and Barter Exchange Transactions for each person for whom the broker has sold stocks, bonds, commodities, regulated futures contracts, foreign currency contracts, forward contracts, debt instruments, etc. File Form 1099-C for each debtor for whom a debt owed is $600 or more if the debtor is an individual, corporation, partnership, trust, estate, association, or company. Form 1099-C must be filed regardless of whether the debtor is required to report the debt as income. Report Dividends and Distributions for each person to whom you have paid dividends or withheld any federal income tax on dividends, or paid $600 or more as part of liquidation. Report interest paid to each person to whom you have paid at least $10 of interest during the year. Use this form to correct payment and withholding amounts on a 1099-INT form you previously filed with the IRS. Report sale or exchange transaction for money, indebtedness, property, or services of any present or future ownership interest in any improved or unimproved land, permanent structures, residential, commercial, industrial building, stock in a cooperative housing corporation or non-contingent interest in standing timber. Use Form 1098, Mortgage Interest Statement, to report mortgage interest of $600 or more received during the year in the course of trade or business from an individual, including a sole proprietor.The $600 threshold applies separately to each mortgage. 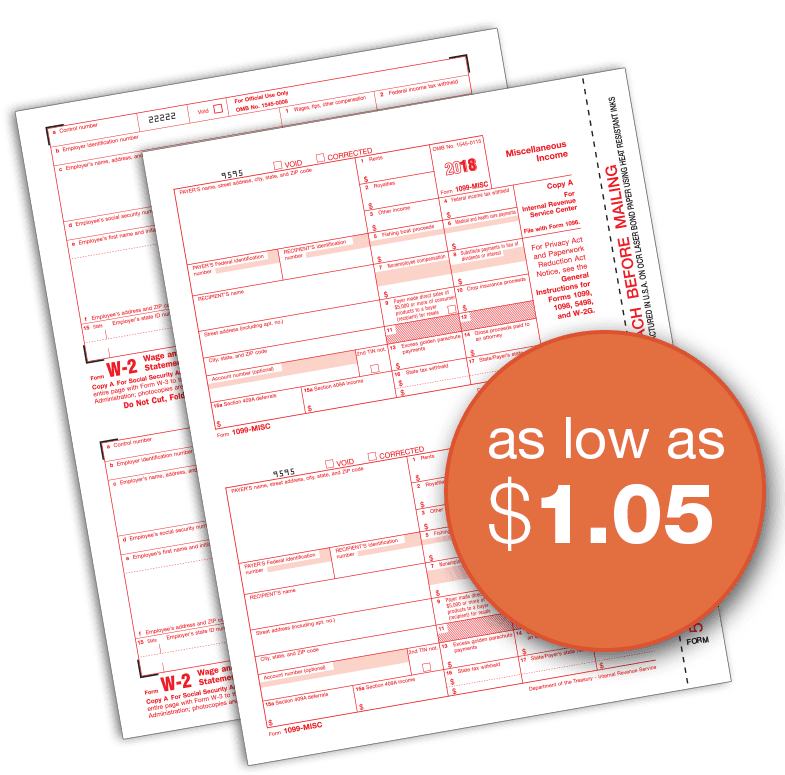 Use this form to correct payment amounts on a 1098 form you previously filed with the IRS. File Form 1098-T, Tuition Statement, for each student enrolled and for whom a reportable transaction is made. Insurers must file Form 1098-T for each individual to whom reimbursements or refunds of qualified tuition and related expenses is made. Report certain information to the IRS and to taxpayers about individuals who are covered by minimum essential coverage and therefore are not the individual shared responsibility payment. Report the information required under section 6055 and 6056 about offers of health coverage and enrollment in the health coverage for their employees. File one 1094-C, Transmittal of Employer-Provided Health Insurance Offer and Coverage Information Returns, each time you file 1095-C Health Coverage Forms. One 1094-C must be marked as the Authoritative Transmittal.